Come see the countrysides and historic places of Aruba. Your friendly tour guides will welcome you aboard with a friendly smile. 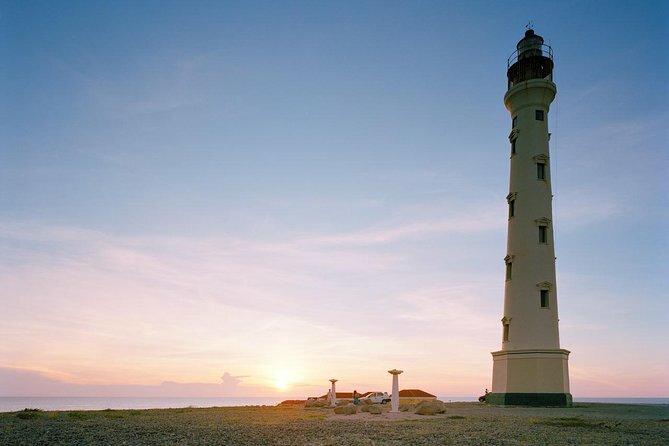 See almost 70% of the island and several stops at tourist attractions and friendly and safe souvenirs shops. 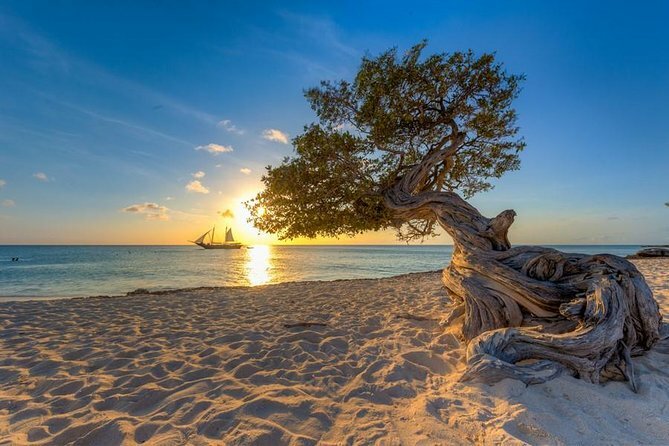 The guides will explain Aruba's fascinating history. Snacks, refreshments and round-trip transportation from your hotel are included. Avoid the hassle and stress of waiting for a taxi. 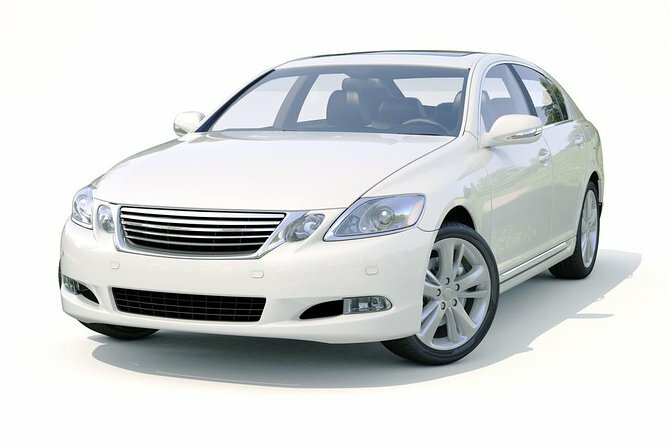 Greet your driver at the airport or at your hotel and relax during the comfortable, air-conditioned private ride to your hotel or to the airport. This private experience will ensure a journey with minimum fuss and maximum care. This is a one way service from the airport to your accommodation OR from your accommodation to the airport. As the gentle trade winds snap the pirate schooner's sails to life you can enjoy sipping on a cocktail from the open bar. Sail along miles of ever -changing scenery through Aruba's turquoise waters. Soon you will agree, "A pirate's life's for me"! Relax on the expansive teak decks of the pirate ship and grab a drink from the open bar as the sun sets into a pink kaleidoscope sky. You can choose to perfect your own style of fly and dive as you try out the ship's rope swing! 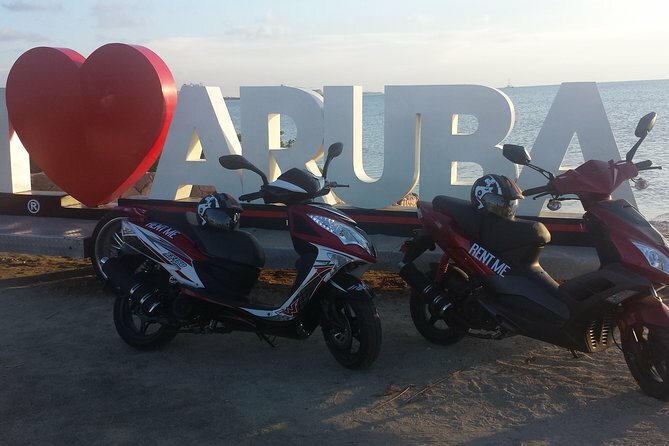 Why walk or take a cab when you can ride a scooter and discover the happy island of Aruba in a fun and exciting way. Renting a scooter is the perfect way to enjoy the happy island! This is the best deal on scooter rentals. Explore convenient locations and popular sites like: Eagle Beach, the butterfly farm, stores in downtown Aruba, local restaurants, the "I Love Aruba" sign, Boca Catalina to snorkel, palm beach or go all the way up North to see the California lighthouse. 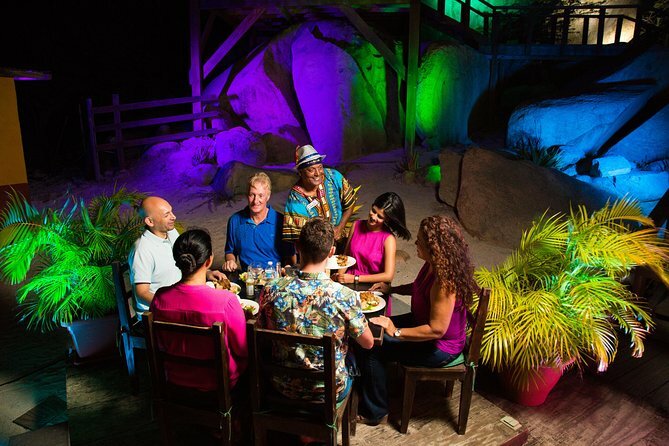 See the highlights of Aruba on this best-selling tour! Visit the Ostrich Farm and feed the ostriches. 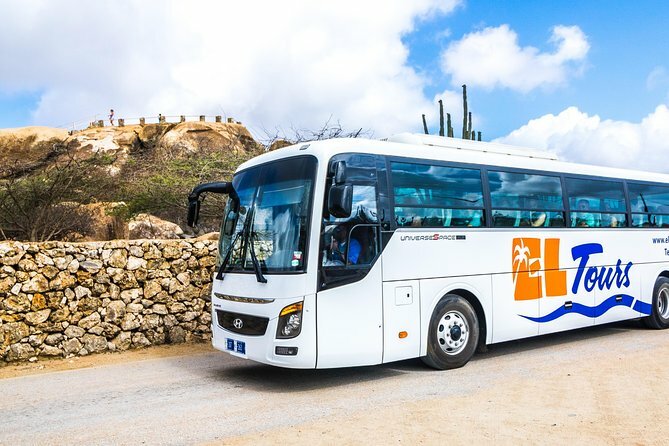 Then head to see Aruba's most historical attractions, including the Alto Vista Chapel, Bushiribana Gold Melting Ruins, Aruba Aloe Factory, California Lighthouse and the Natural Bridge in an air-conditioned bus. 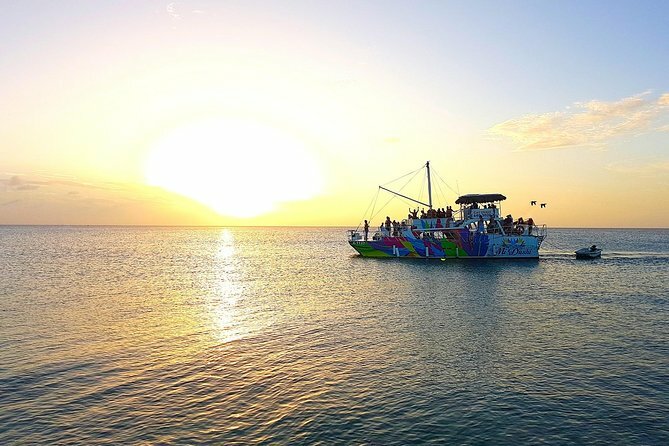 Enjoy beautiful Caribbean views and an open bar on this 2-hour happy hour sunset cruise from Aruba's Hadicurari Pier. As you cruise along Aruba's picturesque western coastline, mingle with friends over unlimited tropical drinks and listen to cool reggae music. End by admiring a colorful Caribbean sunset from your vantage point on the water. 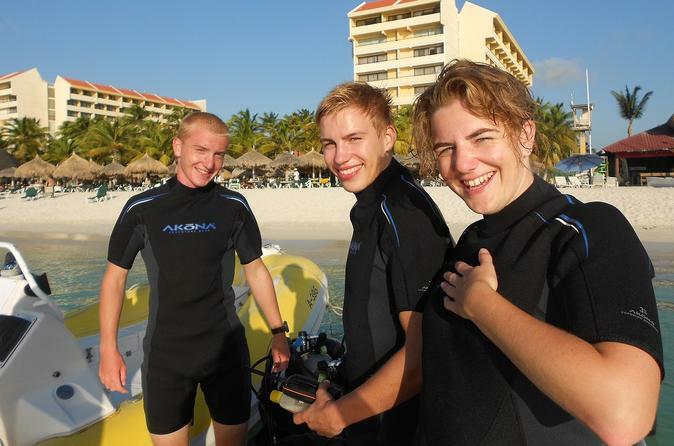 Experience Aruba on this 3 dive package (4 Dives) diving adventure. Aruba is known for unforgettable scuba dive experiences. It has a nice range of dive spots, reefs, shipwrecks and even plane wrecks for divers. 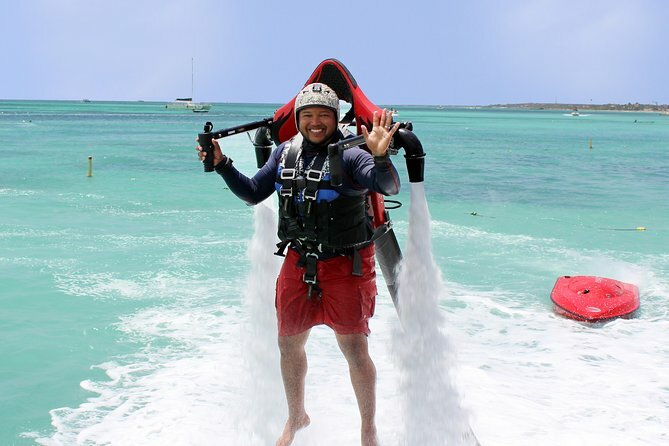 Fly over the sea and soar up to 30 feet (9 meters) into the air on an Aruba jetpack adventure! Your powerful jetpack takes you hovering above the ocean and you’ll even appear to walk on water on this 25-minute aerial water-sports experience. Your 25-minute flight is remotely controlled by your flight instructor, and you'll receive a comprehensive safety briefing and instructions. Don’t miss out on this fun jetpack adventure while visiting Aruba! 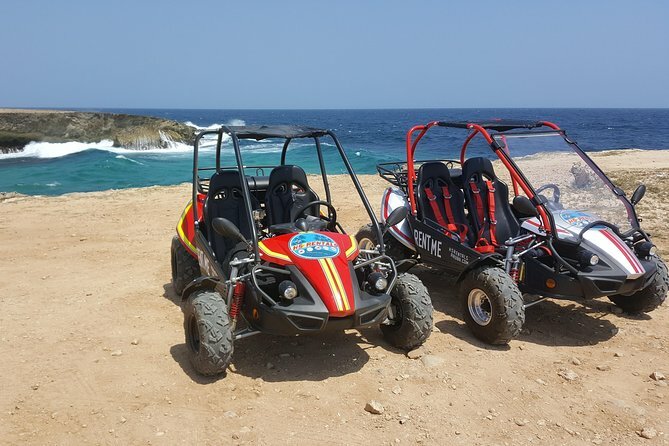 Rent a trail-buggy and go off-roading in Aruba. You can ride this vehicle on the road as well as off-road. 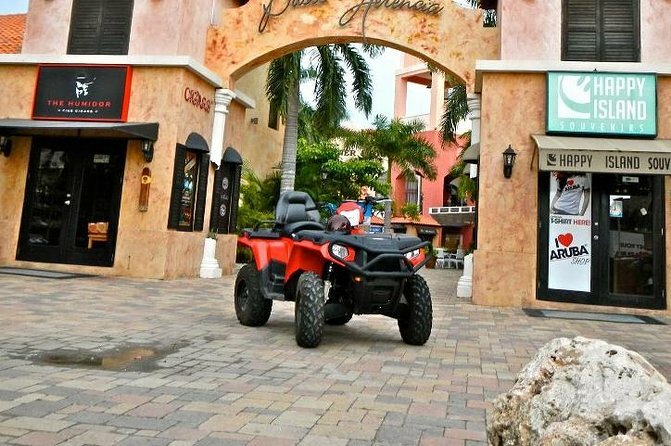 Many popular places in Aruba can only be reached with an off-road vehicle, and we have the most affordable off-road vehicle on the island. Places that you can go with our buggies include: the natural pool (Conchi), Arikok national park (Fontein cave and Quadirikiri cave), Natural bridge, Bushiribana gold mines ruins, Alto Vista chapel, Hooiberg, the Californian lighthouse, Boca Catalina (snorkeling), Palm Beach, Baby Beach, Eagle Beach, Arashi Beach, Ayo rocks formation, Casibari rocks formation, Butterfly farm, Ostrich farm, and the donkey sanctuary. Unwind and end your day on a high note with this relaxing cruise. 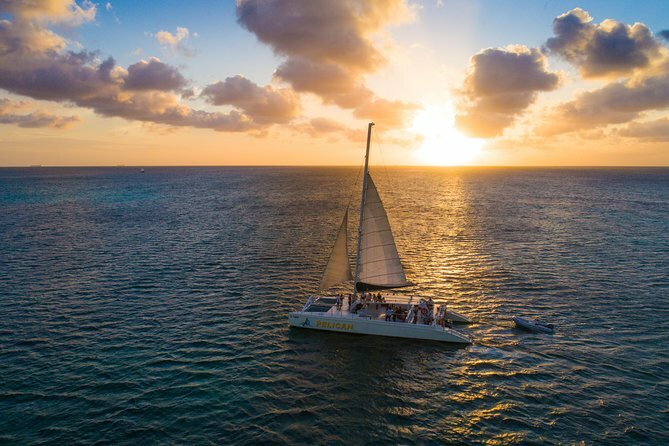 Climb aboard a comfortable open-deck catamaran and set sail to admire Aruba's crystal waters, breathtaking shoreline, and beautiful sunset. Along the way, sip a tropical cocktail from the open bar and nibble on savory snacks. While daylight fades and you cruise along the coast, gaze out as the setting sun paints the evening sky with hues of red, gold, and rose. 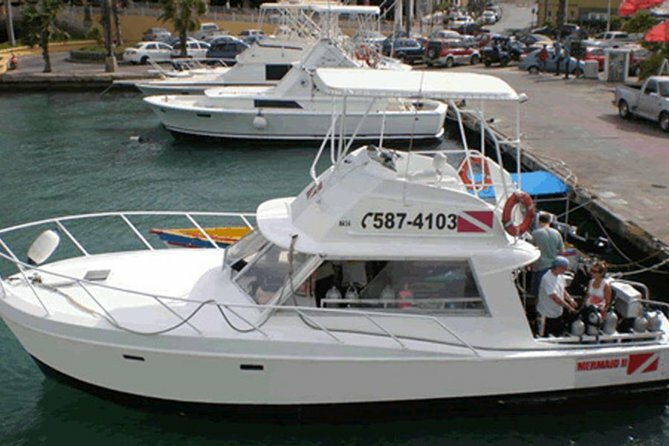 Whether you are seeking an ideal family trip or a romantic getaway, this splendid catamaran cruise offers an unbelievable experience. 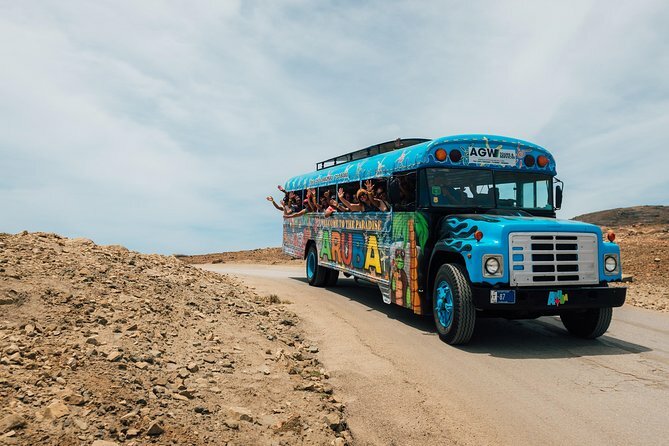 Explore Aruba on a colorful, fun and bouncy open air style bus! Professional tour guides will show you the number one tourist attractions and natural landmarks of Aruba. At each stop you will have the opportunity to get out, take pictures and enjoy the scenery. This is a trip of a lifetime; come and dance along on the local music! 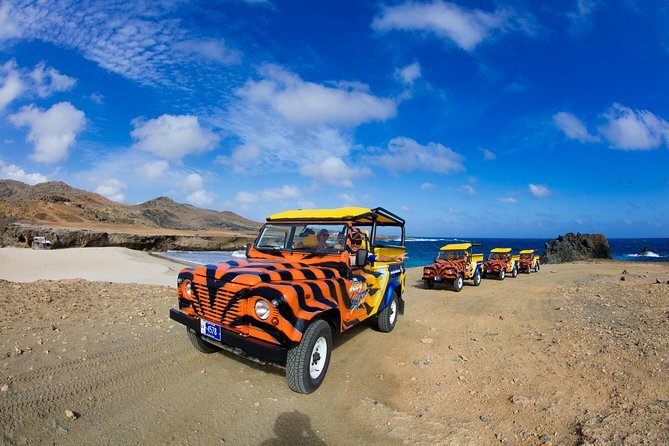 Experience Aruba coast to coast and visit its greatest landmarks on this exciting 4.5-hour tour. Travel through the island's unusual desert landscape and stunning rock formations, charming Cunucu houses, and Natural Bridge Ruins. 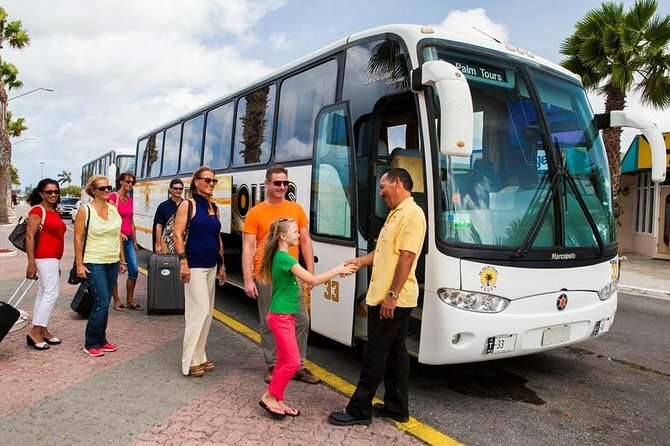 A fun and knowledgeable guide will explain Aruba's fascinating history throughout the tour. Snacks, refreshments, and round-trip transportation from your hotel is included. Explore the Aruban countryside on a 2.5-hour small-group hiking tour led by a professional multilingual guide. 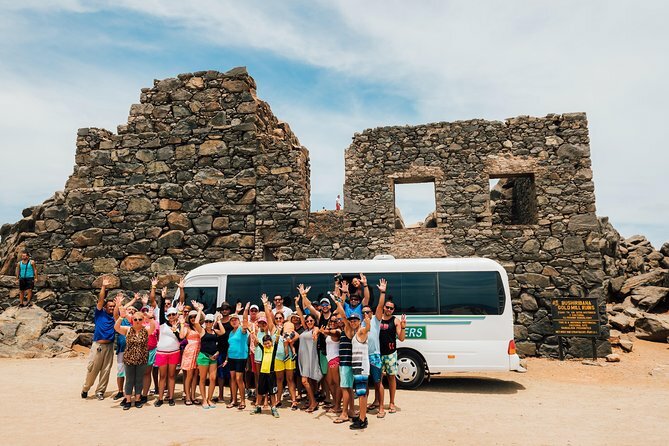 Learn about the geology and history of Aruba as you enjoy a scenic adventure. Your hike will take place in a small-group of up to 10 people with an easy, intermediate or advanced route depending on the group's skill level. This is a very enjoyable excursion. The guide is extremely knowledgeable about Aruba's history, economic & political issues and the issues of tourism on a small island, It adds an interesting element to approx. 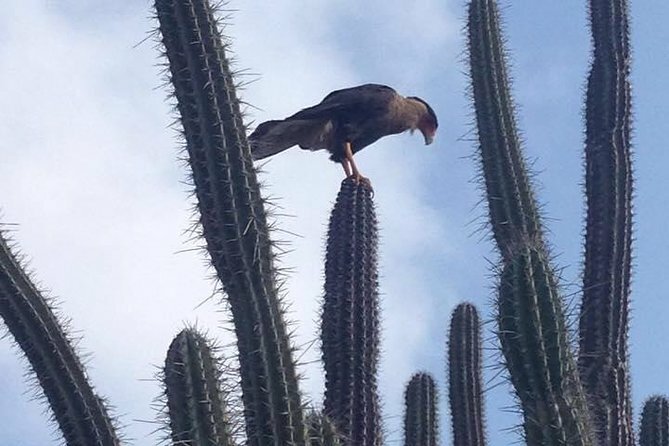 10km/3 hr walk through the cactus countryside and more . An excellent alternative to all day at the beach - but still leaves you plenty of beach time after the walk - and I can recommend this tour to get a feel of the real Aruba. pick up/drop off is included at the pier or hotel . The waters around Aruba are filled with dazzling marine life. 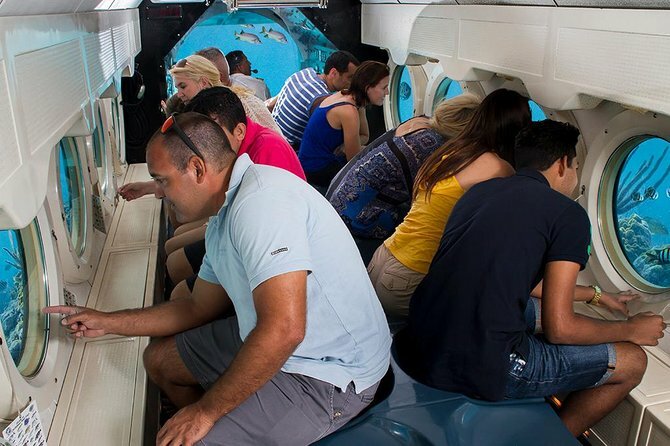 Turtles, green and spotted moray eels, stingrays, yellow tail snappers and many more are waiting for a visit from you. The waters vary between 20 feet to 140 feet and are the perfect location for scuba diving. You might also she ship wrecks, like the famous Antilla! 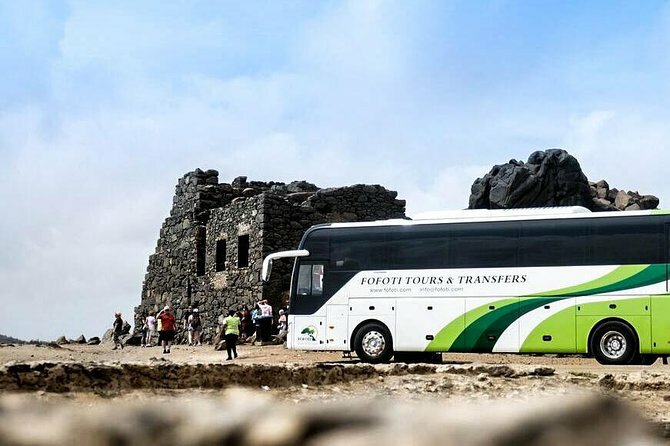 Whether it's getting to your hotel as soon as possible, or looking after the family following a long journey, the last thing you want is a long wait! 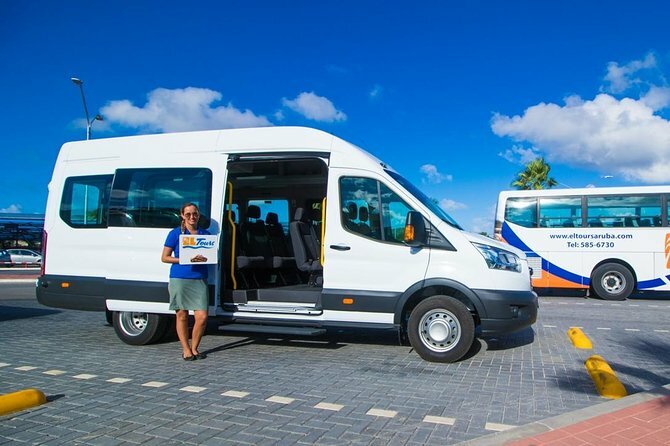 Don't worry, when you fly to Aruba, a coach will be there waiting for you at the airport to ensure you have a stress free and comfortable journey to your destination aboard a deluxe air-conditioned motor coach.